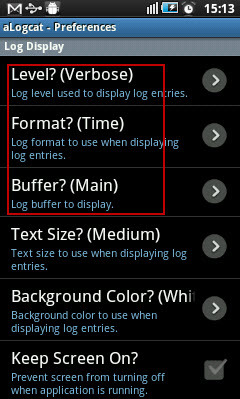 How to collect logcat logs from Android via the ‘aLogcat’ application. This article provides information on how to collect logcat logs from Android via the aLogcat application. How to collect logcat logs from Android via the aLogcat application. Logs from various applications and portions of the system can be collected in a series of circular buffers, which can then be viewed and filtered by using the aLogcat application. 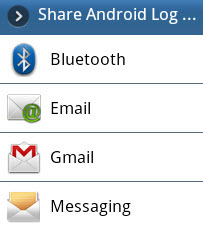 You can also share the logcat logs via Bluetooth, Mail, or Message. 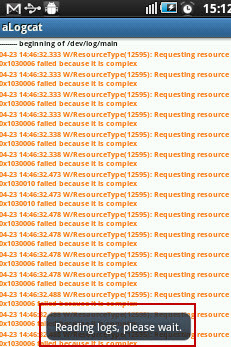 Note: The logs are the same as that of DDMS logs.